A water-based dressing that restores old worn out tires to a like-new appearance and provides weeks of long-lasting protection against the elements. 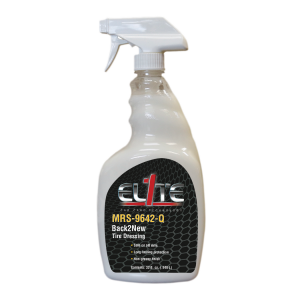 Back 2 New is safe on all types of wheels and is a great chrome, aluminum, and all metal cleaner. Multiple coats can be applied to provide extra protection.